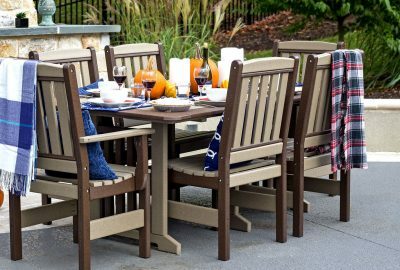 Instantly increase your livable space if you head outdoors and invest in some outdoor cabin poly patio furniture. 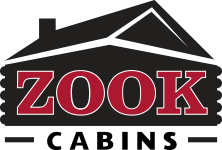 With poly lumber, you can have the look of wood without the maintenance or weather worries. 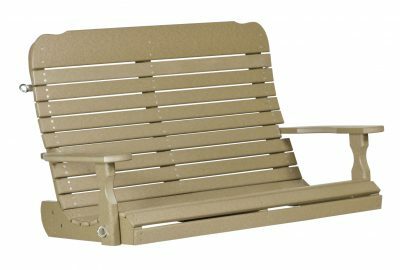 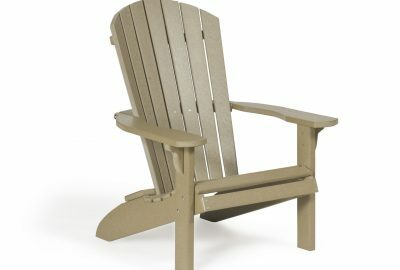 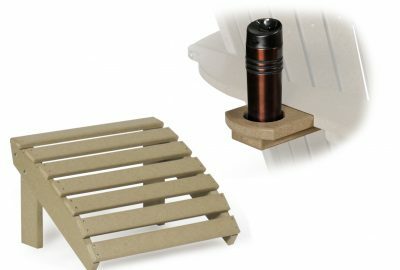 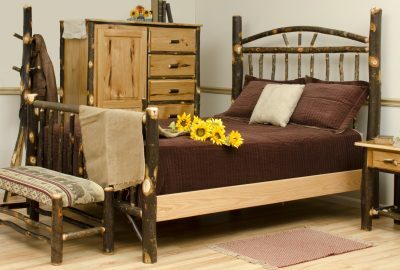 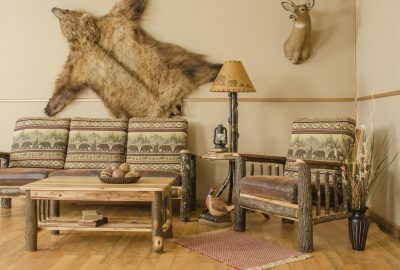 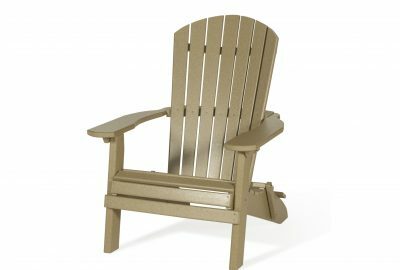 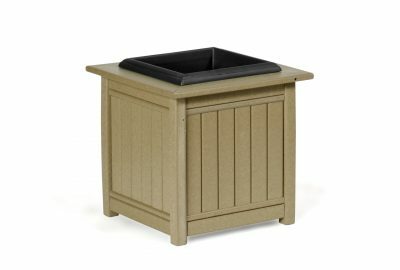 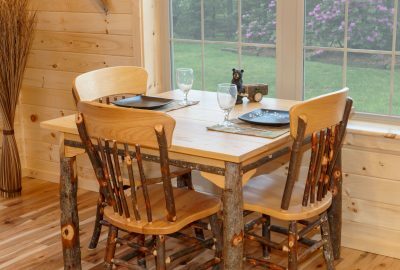 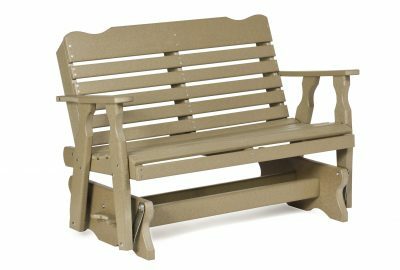 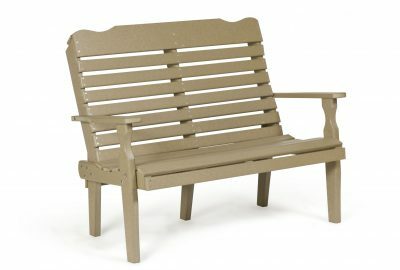 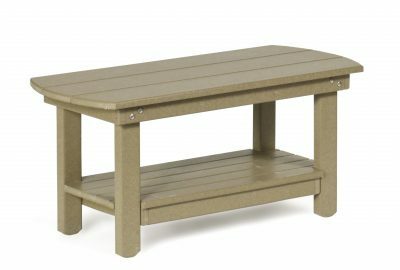 Start your poly patio furniture search with some of our comfortable log home polywood outdoor furniture seating options. 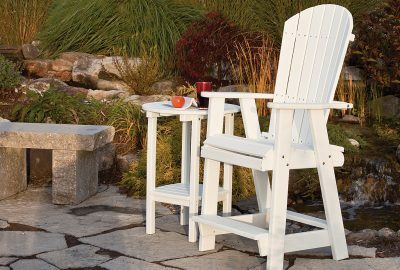 The Adirondack style fanback chair, with a matching ottoman, may just create the ultimate way for you to relax and unwind in the great outdoors. 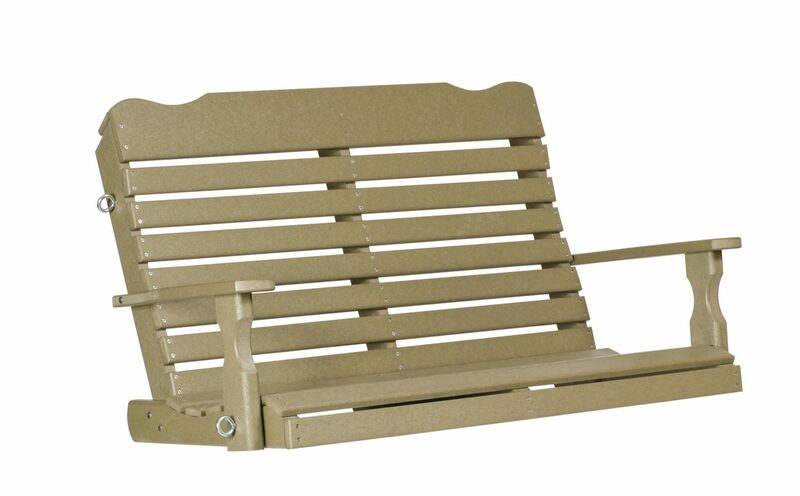 Add some benches or hang a swing for a great environment to enjoy time with friends. 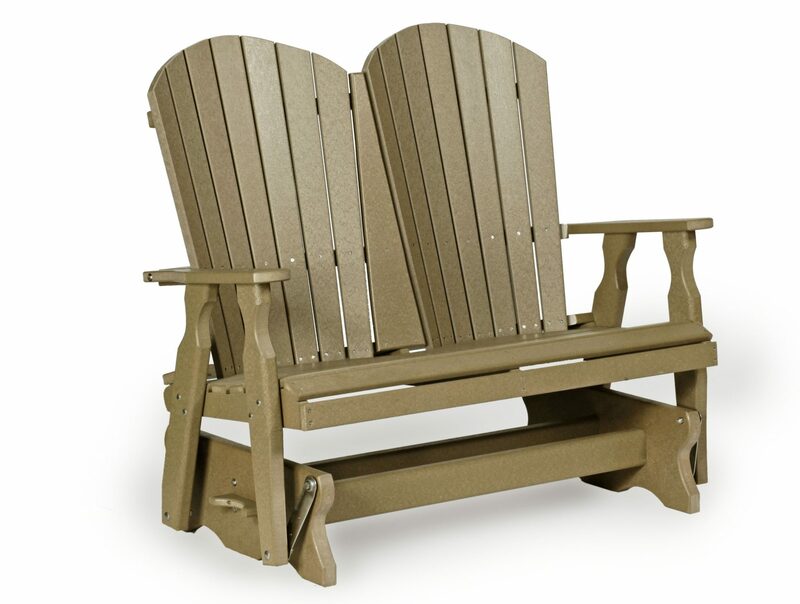 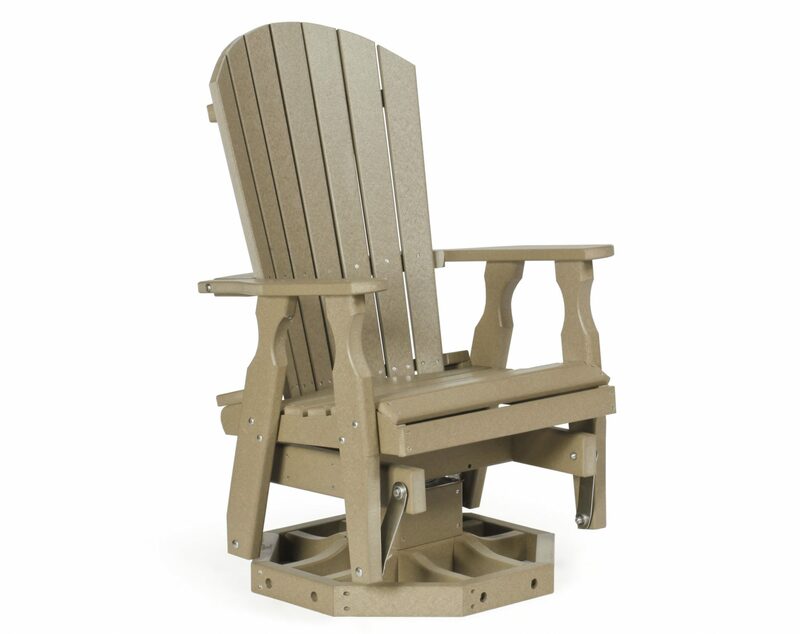 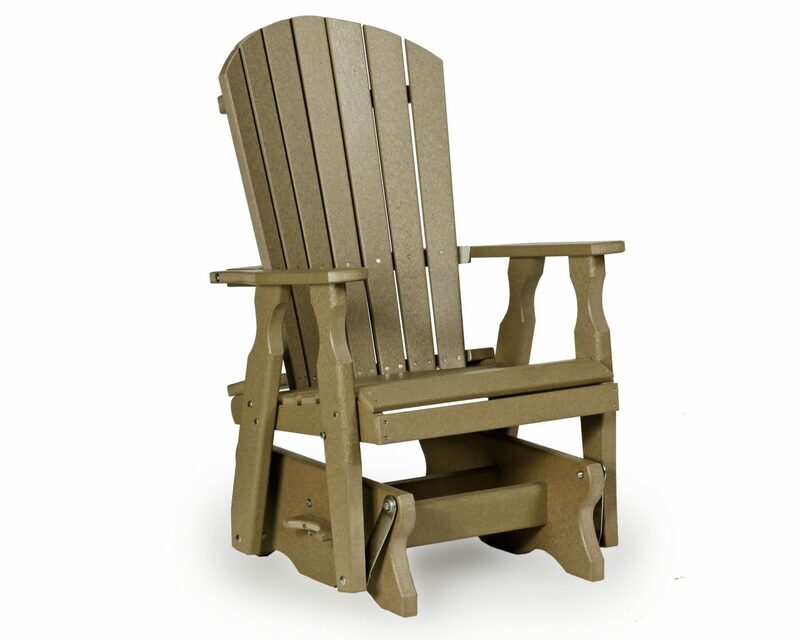 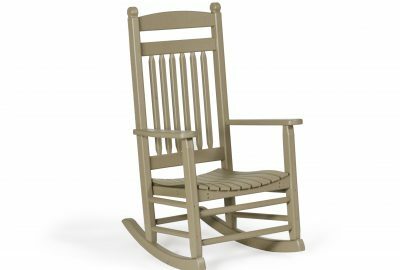 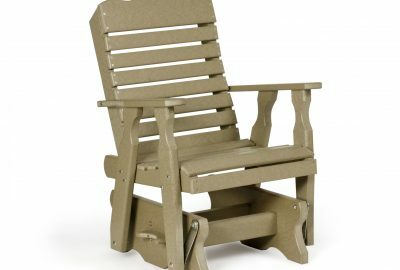 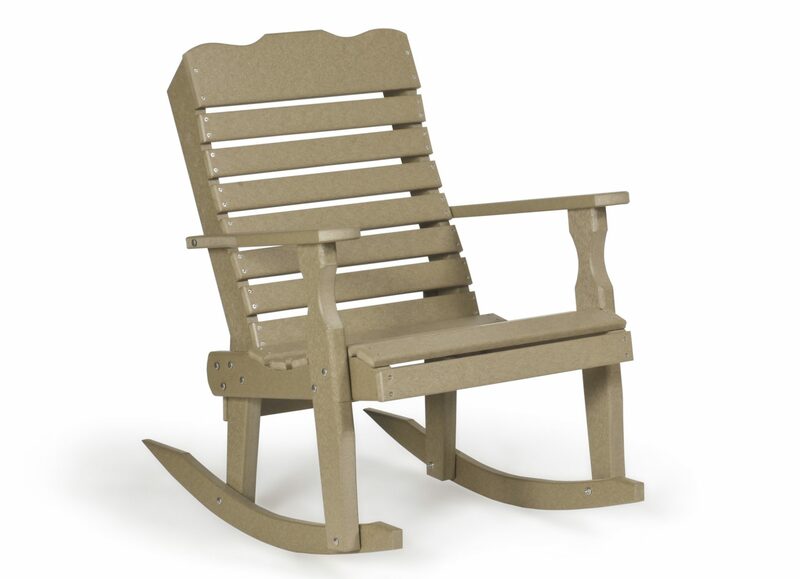 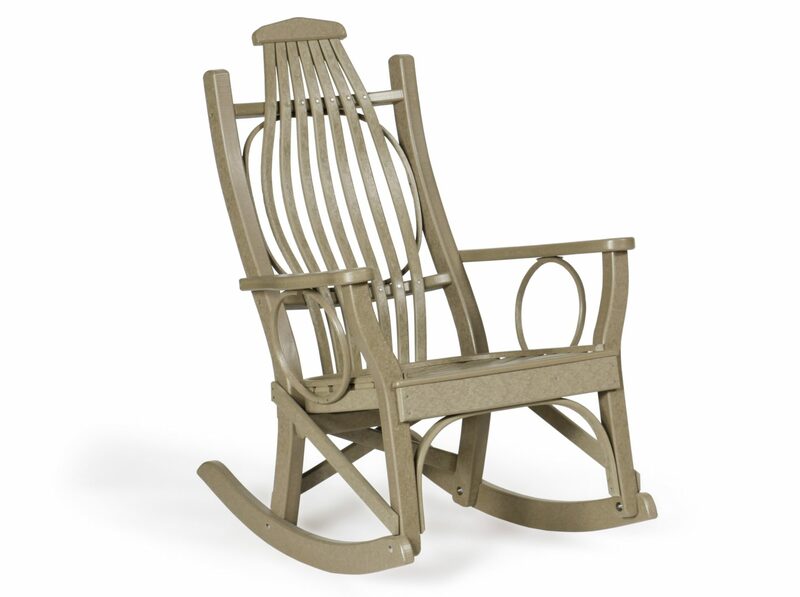 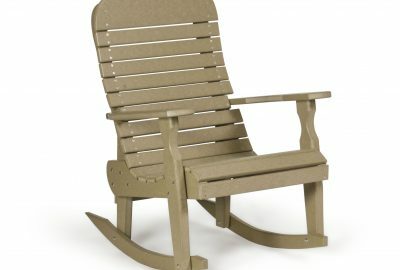 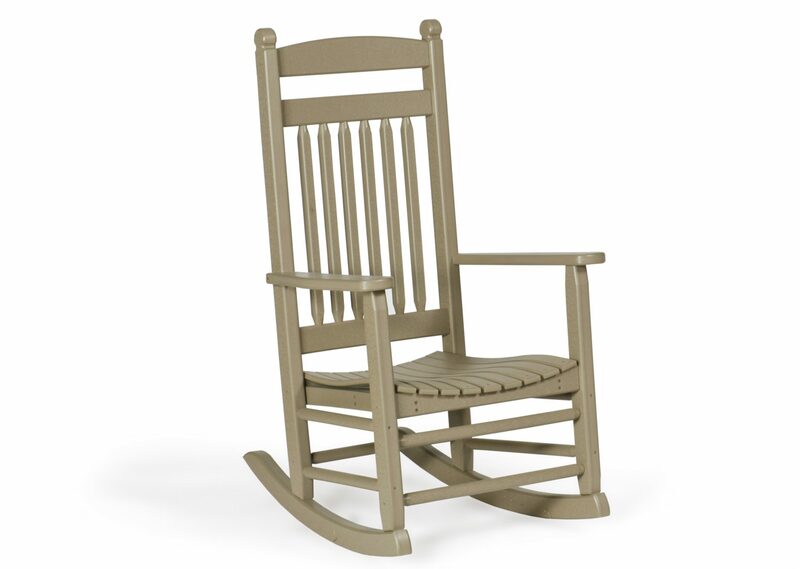 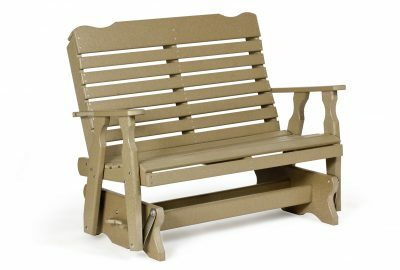 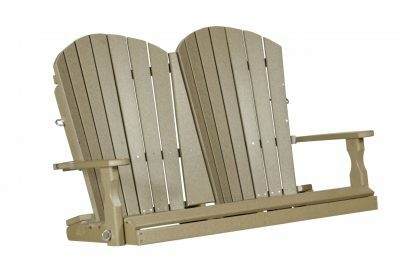 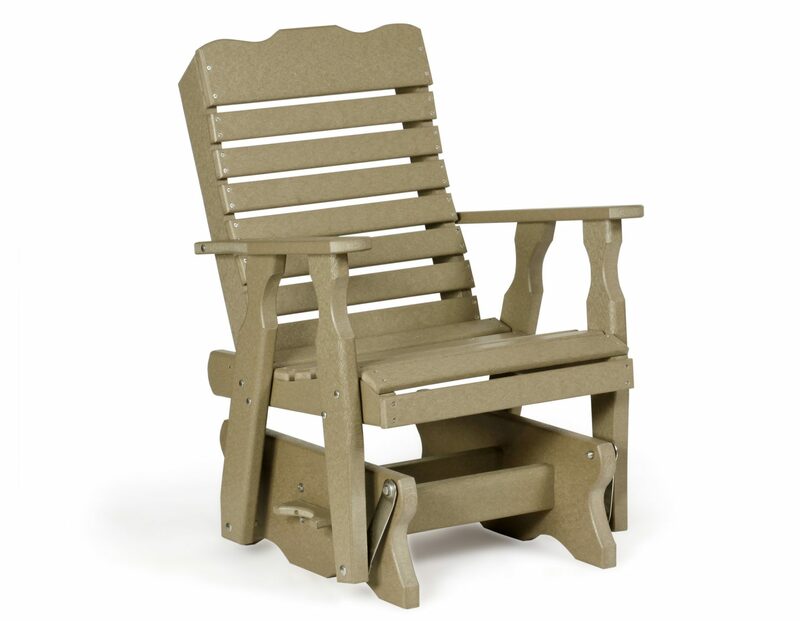 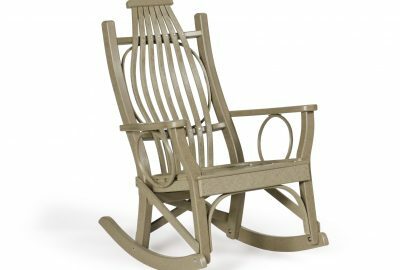 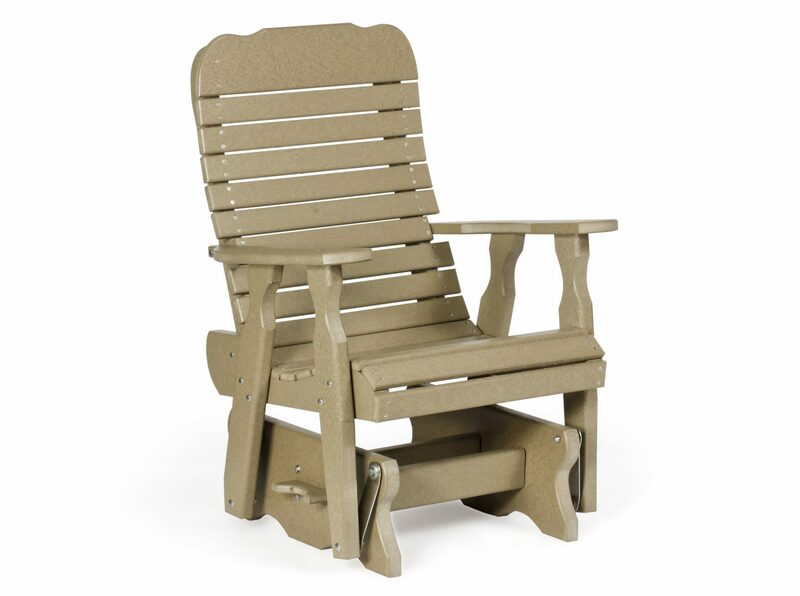 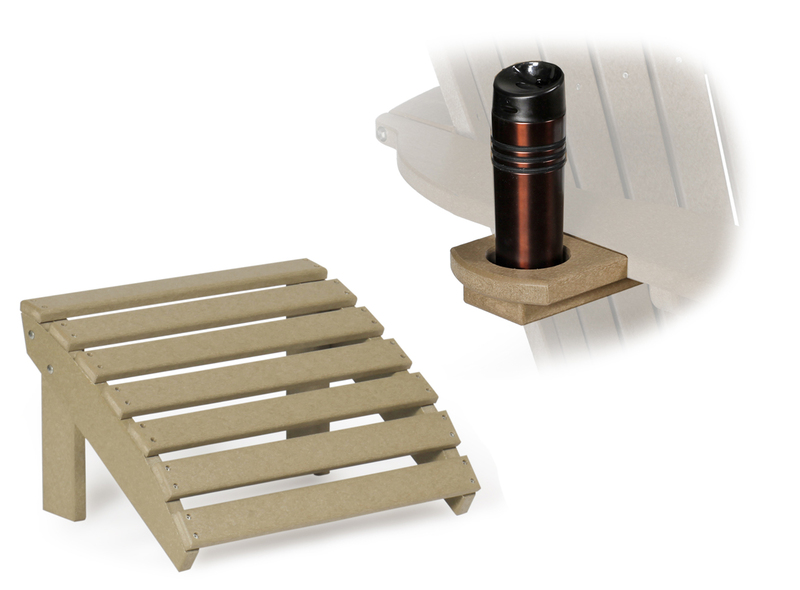 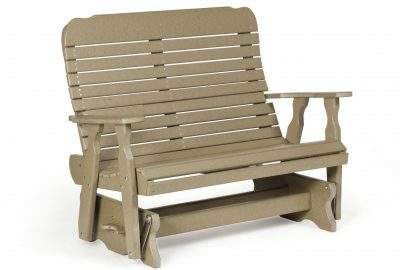 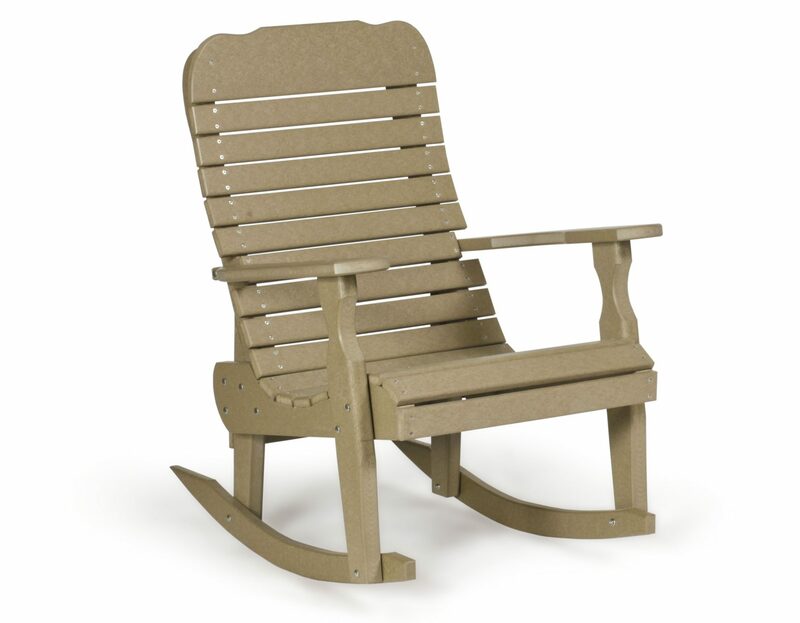 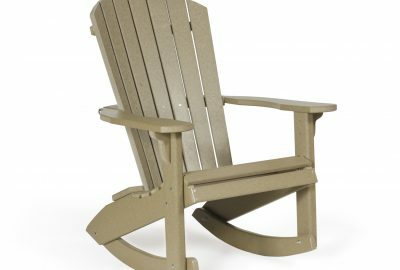 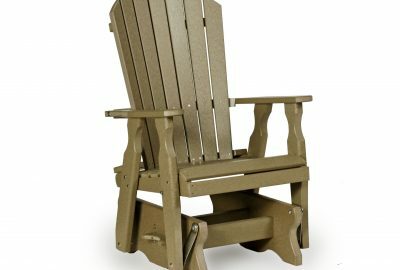 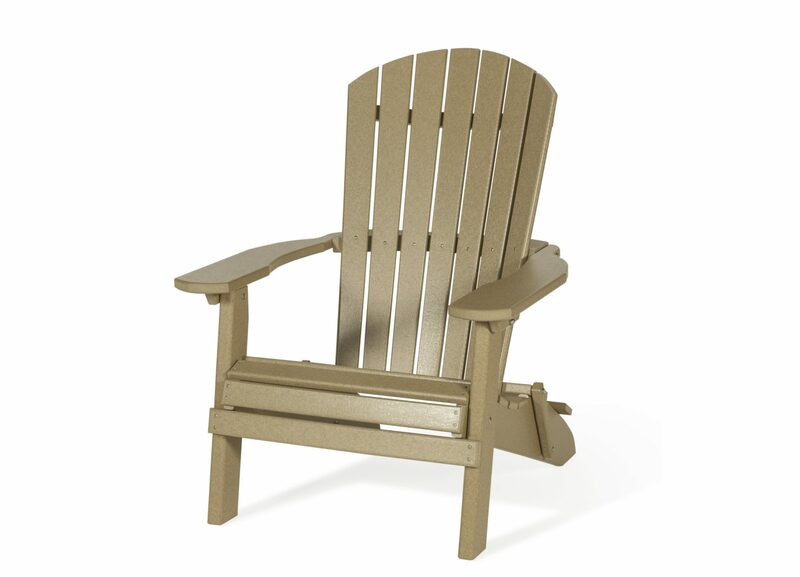 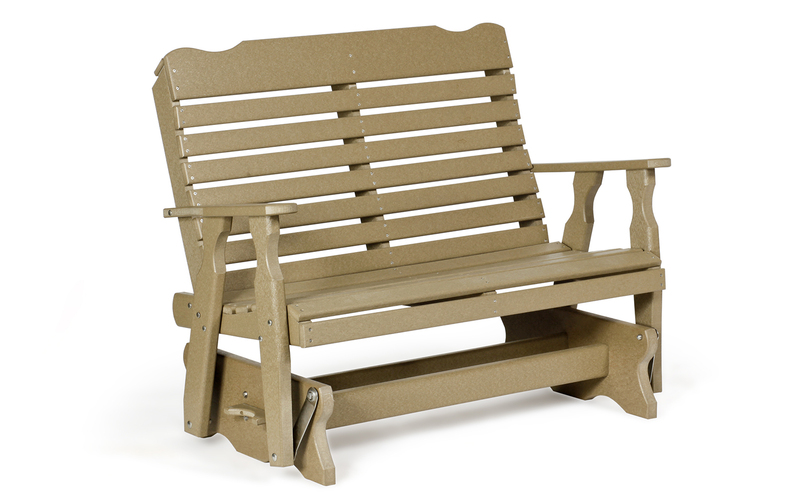 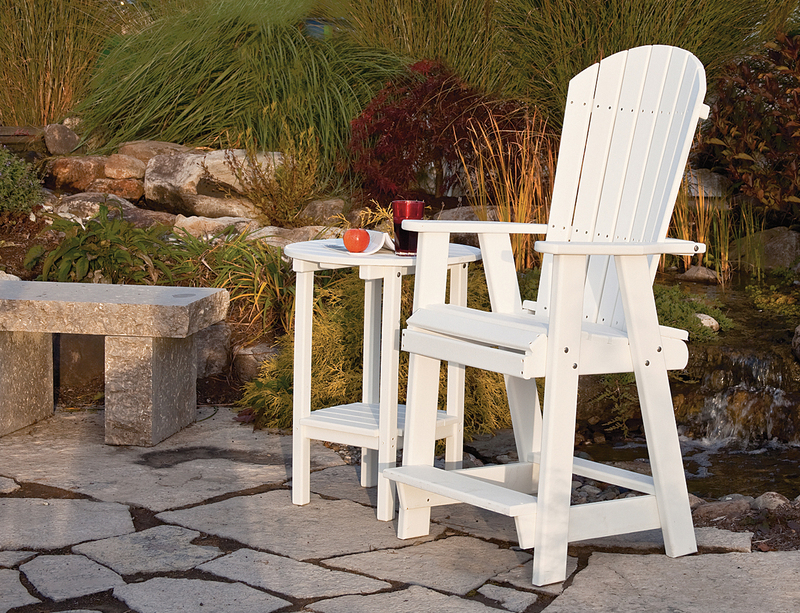 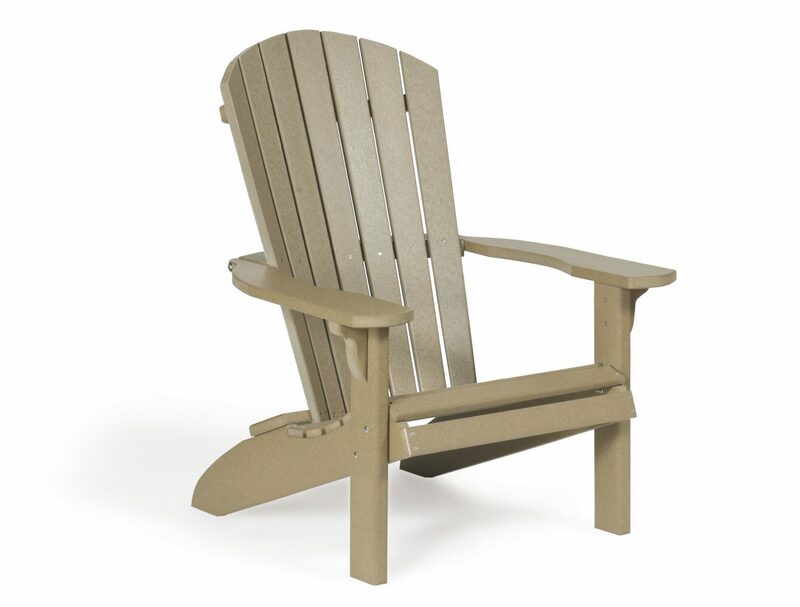 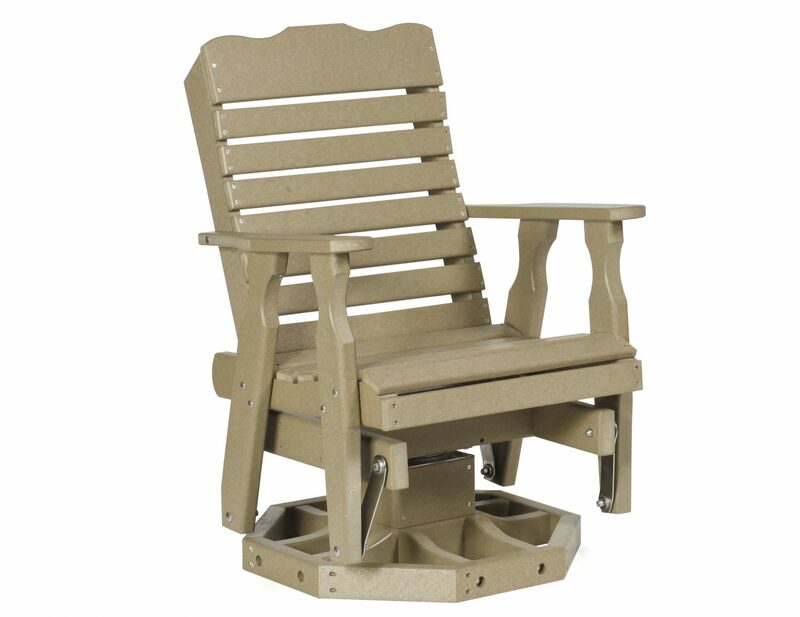 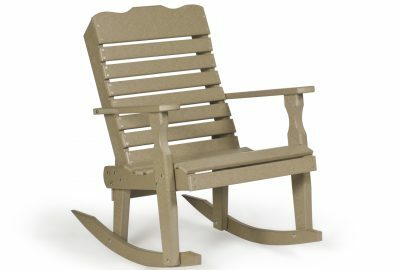 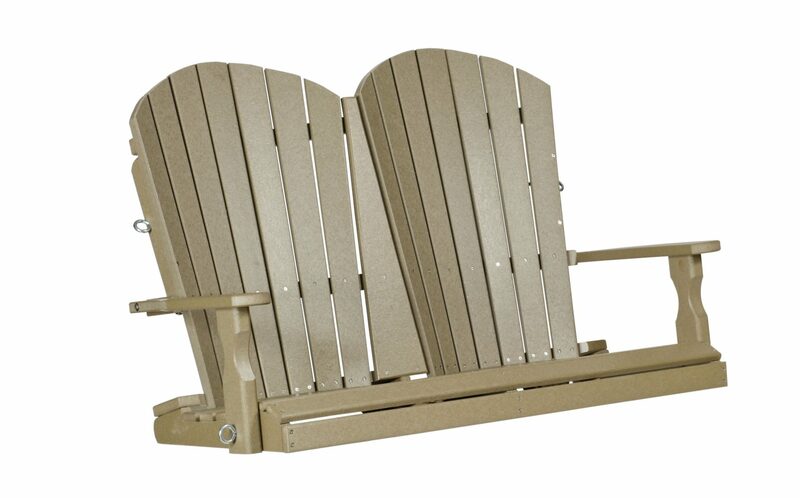 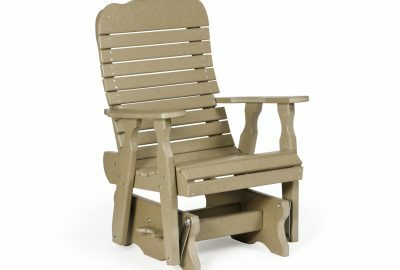 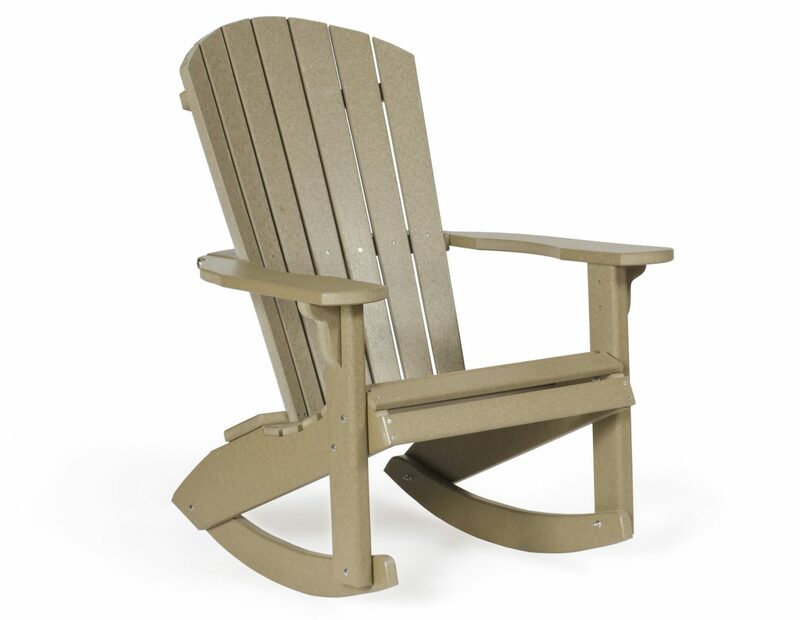 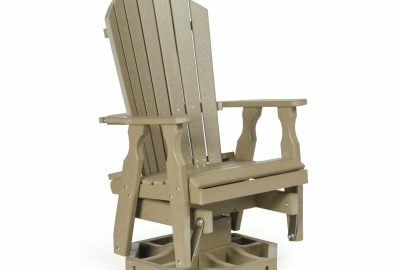  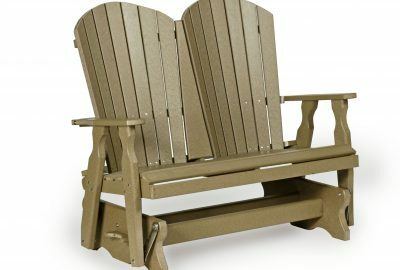 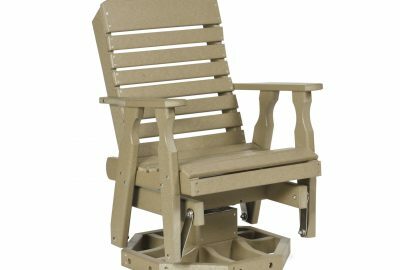 Our rockers and gliders are so comfortable that they will quickly become the preferred seats at the cabin. 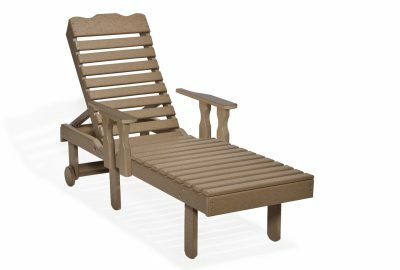 Chaise lounges, coffee tables and planters in matching poly lumber colors allow you to assemble your perfect outdoor oasis. 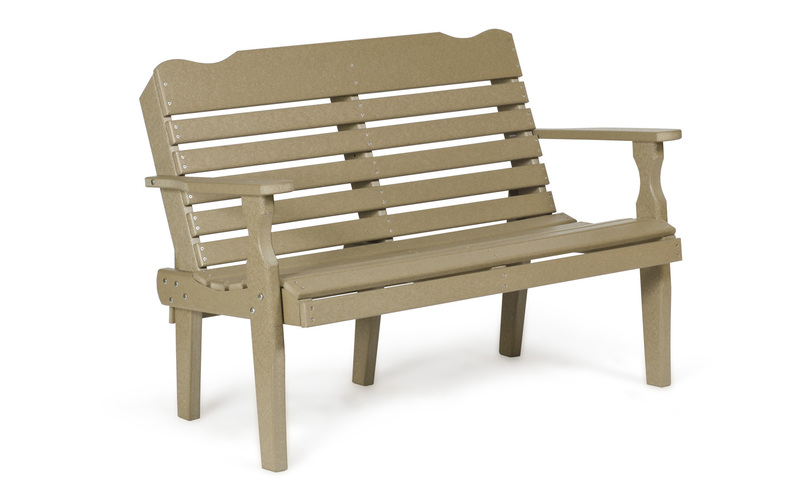 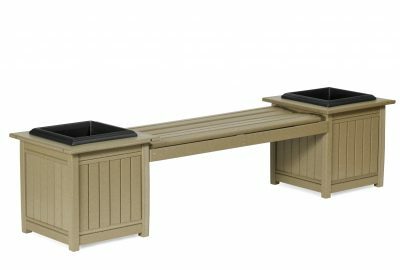 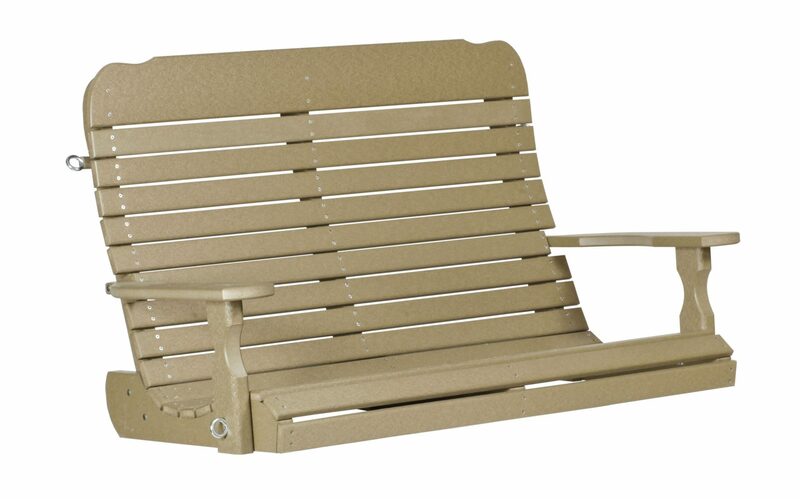 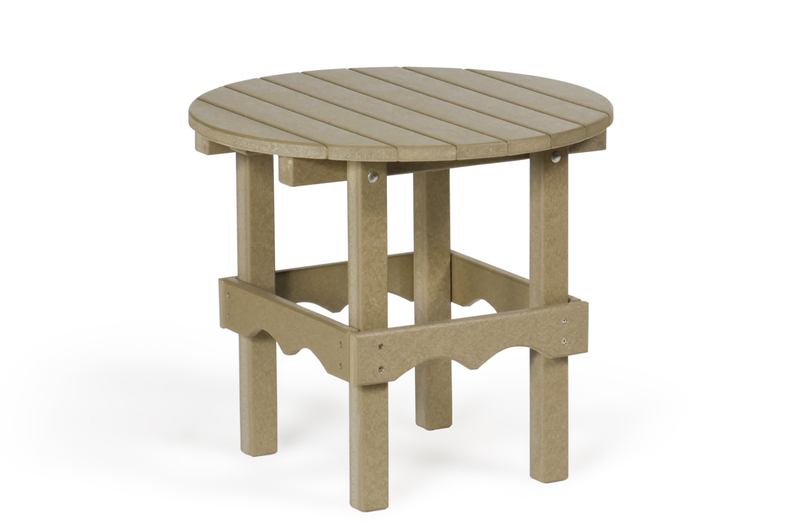 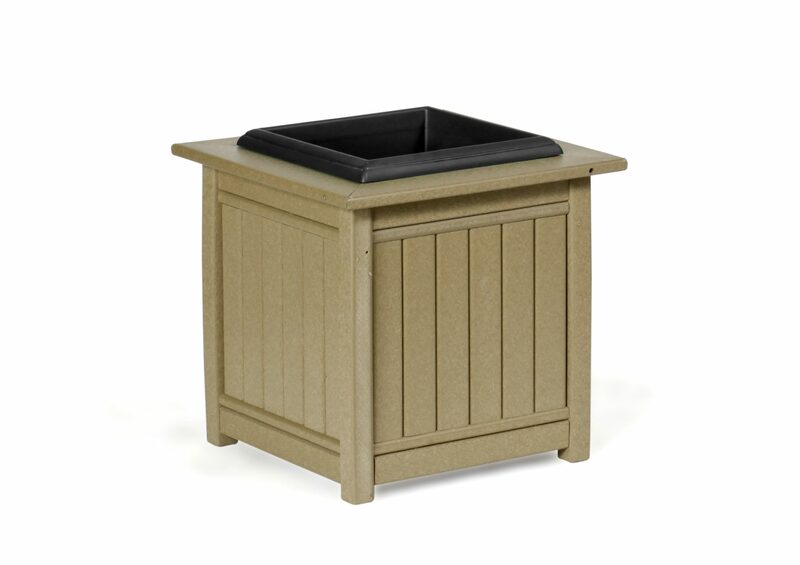 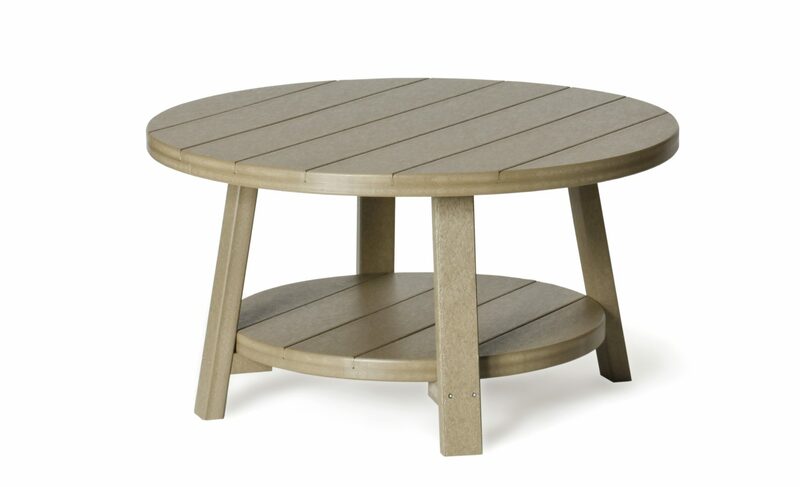 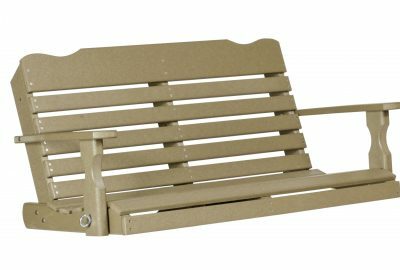 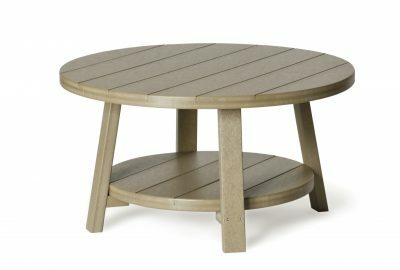 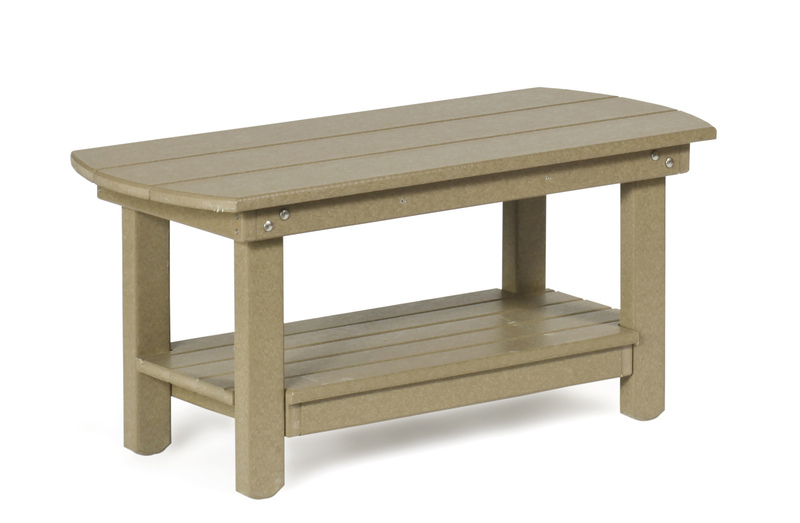 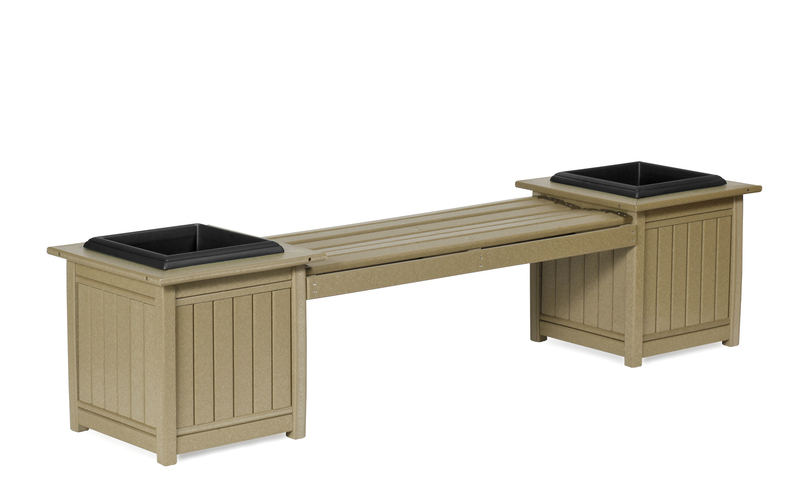 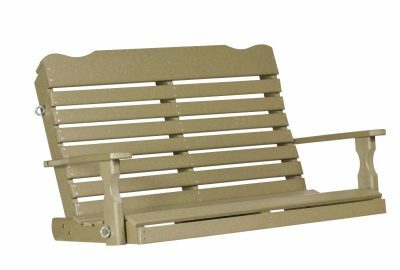 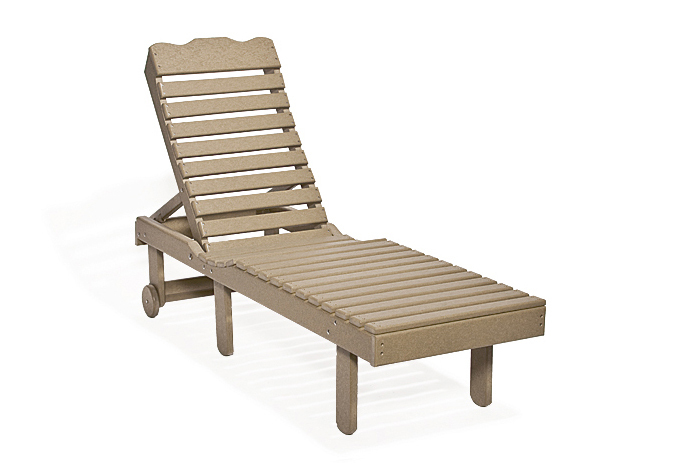 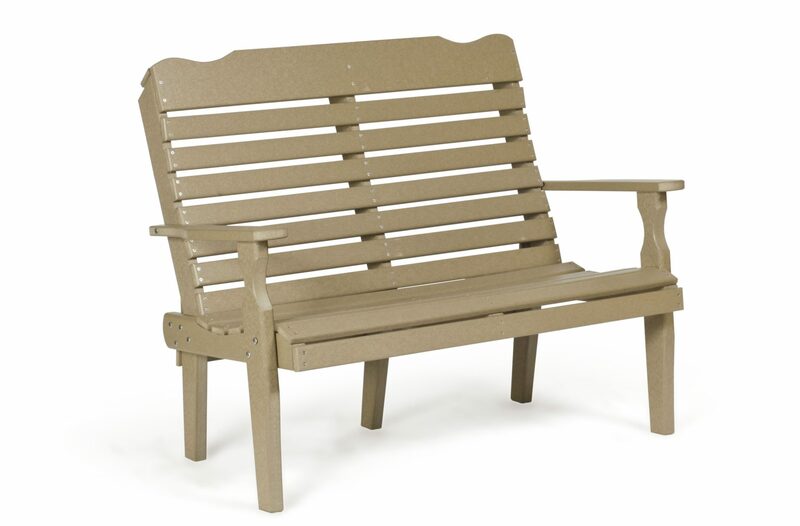 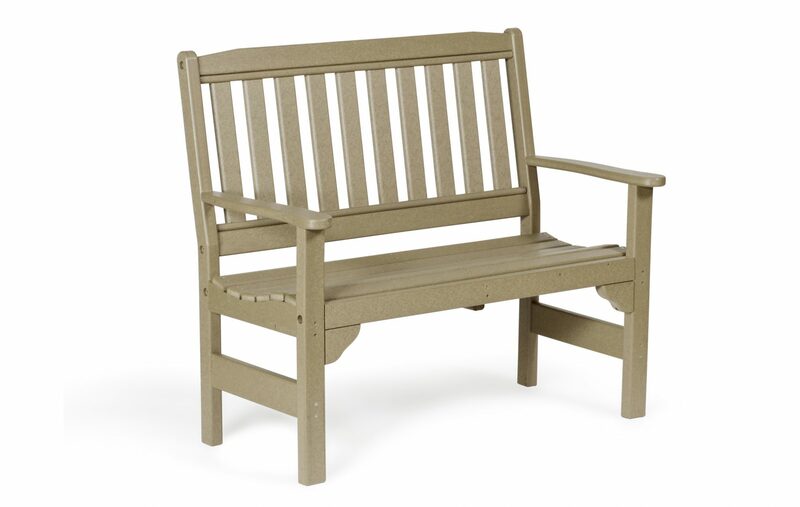 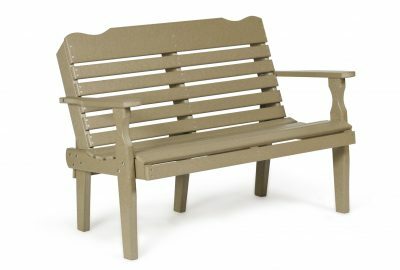 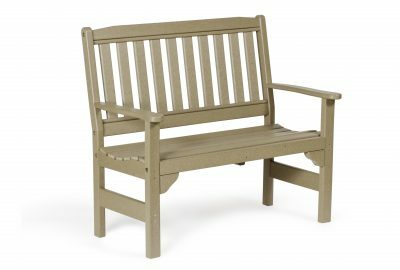 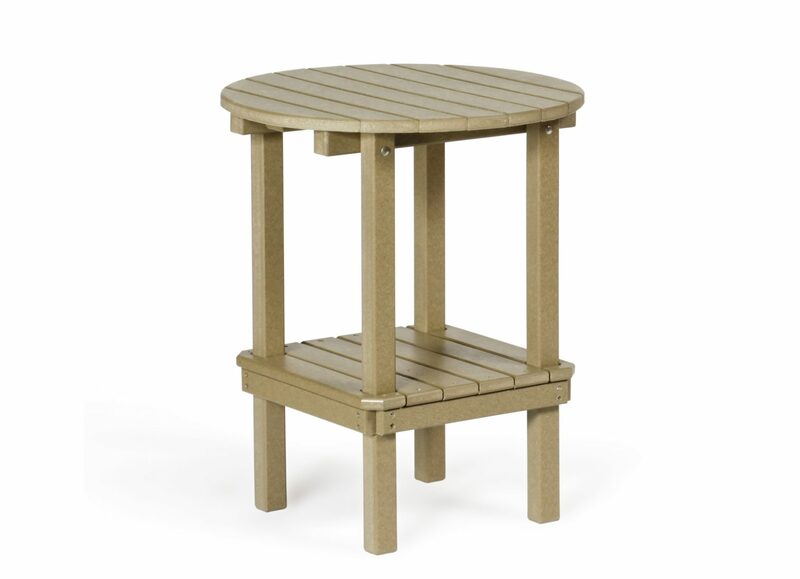 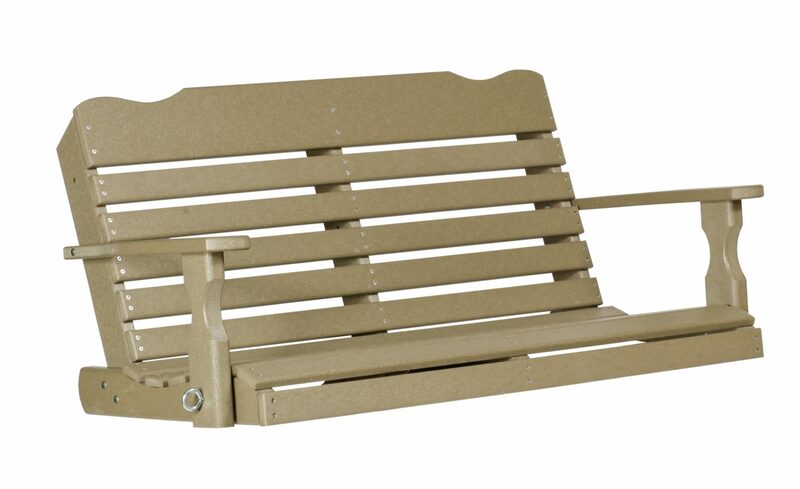 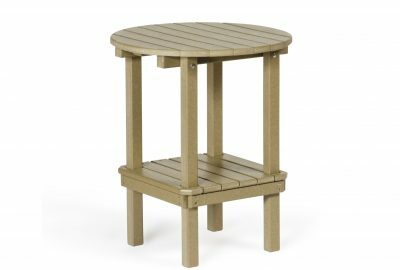 Craft an outdoor paradise with this polywood outdoor furniture for patios, decks, and porches. 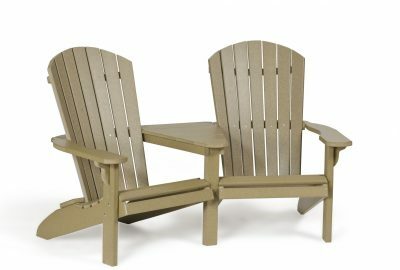 Fits with all of our furniture.